Last week, 30 Cambodians were forced to be separated from their family and community by being deported to Cambodia. These deportees were refugees from families who escaped the Khmer Rouge genocide. They were very young when their families resettled in the US, into places concentrated with poverty, violence and lack of resources. Many had never set foot in Cambodia before and were actually born in refugee camps. During their youth, many of our community members have come in contact with the criminal justice system.Years passed and they matured, transformed their lives and have acquired trades and education. After they served their sentences, some were transferred directly to Immigration & Customs Enforcement (ICE) for deportation proceedings. Some were released back to their family and communities by ICE under an order of supervision, and continued to lead productive lives for many years. They gave back to their communities through jobs, education, and volunteer work, and even started families of their own. 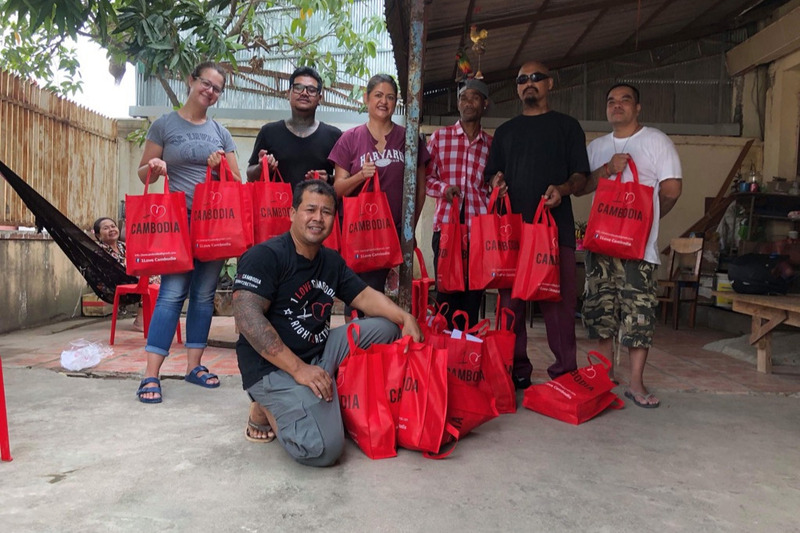 In partnership with 1Love Cambodia, we are raising money to help support the deportees and strengthen the capacity of the deportee-lead organization. This campaign is directly in contact with the deportees in Cambodia with all proceeds going towards their support. The money raised will help to provide basic necessities such as toothbrushes, toothpaste, soap, razors, feminine products, towels, deodorant, socks, snacks (coffee, noodles, cookies, crackers etc); and for the move-out/starter kits: 1 burner stoves, plates, spoons, knives, forks, pots, pans, bedding, towels etc. Please give today. Your donation of any amount makes a difference. 1Love Cambodia is also supporting the transition of the 43 who were deported last April. Using a community development model the 1Love community is also creating the Drop in Center to offer general support: laundry and transportation services, daily meals, and much more. In the fall of 2010, 1Love Movement formed in response to a deportation crisis that targeted Cambodian-Americans with past criminal convictions in Philadelphia, PA. What began as a campaign to release loved ones from the prison and deportation systems, grew into a grassroots movement building organization. 1Love Movement continues to organize to address the root causes of migration due to US militarism and foreign policy, conditions of poverty, intergenerational trauma, the school to prison pipeline, and unjust deportation policy. Making grassroots impact on national policy reform, while leading grounded strategies that have won local criminal justice and immigration policy change.